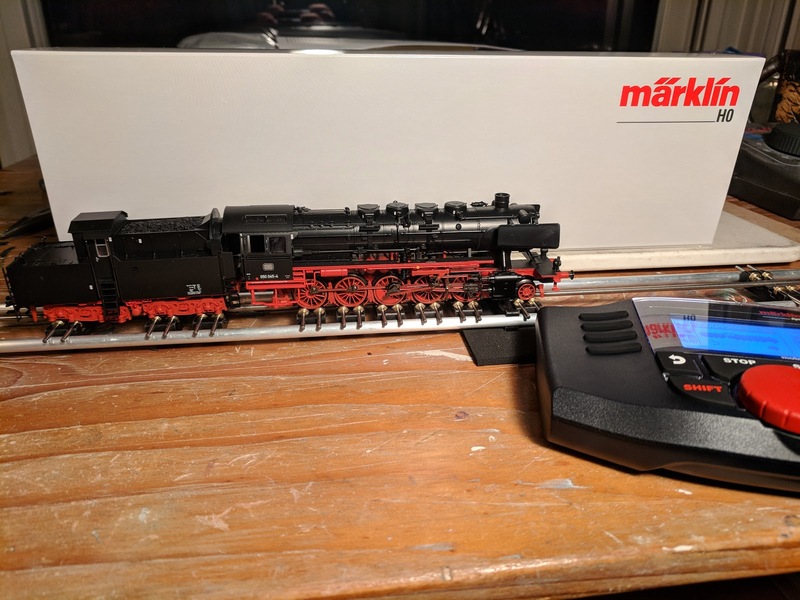 Maerklin's new tooling of the class 50 steam locomotive is very nice. The tiny, free-standing hand wheels and see-through frame under the boiler are just a couple examples. The locomotive comes with cab lights in the locomotive cab, as well as the conductor cab built into the tender. 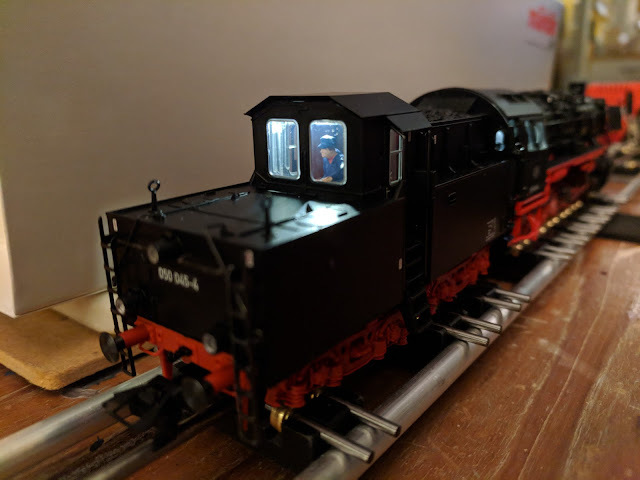 The standard Maerklin steam engine sounds in purchases from the last couple years left me a bit disappointed, especially after hearing how well Roco and Zimo did the sounds on the class 64. The sound package on the class 50 is not quite that good, but very close. The brakes sound a bit weird, and I would have liked automatic hissing to indicate blowing out water from the cylinders when the locomotive starts moving. Aside from that I can't really complain. The chuff sounds adjust convincingly to speed, too. This is a mfx+ locomotive with the play world feature, which I don't really care for at all. I reduced sound volume, extended acceleration and deceleration delays, and reduced maximum speed. It's nice to be able to do this at the work bench with the roller stand and a Mobile Station 2 to program the MFX functions. Overall, a beautiful model of a work horse locomotive that strikes a good balance between play value and detailing.